Then, today (well, it's after midnight so I guess yesterday if you want to get technical) has, seriously, been an awesome day. I really don't think a single thing went wrong, and so many things went right! 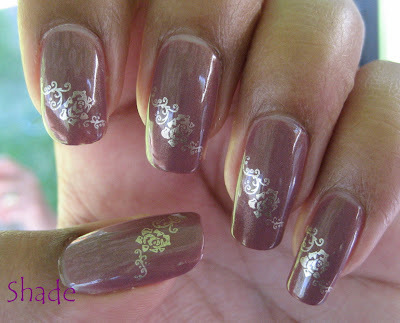 Starting with the mani I wore today & did last night (Excellent Thing #2 - a fresh mani). This really turned out well & although I certainly do love some bling on my nails, this subdued mani kept me smiling all day. Among other things - I had to work late Tues & Wed to get caught up after the holiday, but that meant I got to leave early today - at 12:30! & on a sunny gorgeous day also (Excellent Thing #3 - leaving work early for any reason). 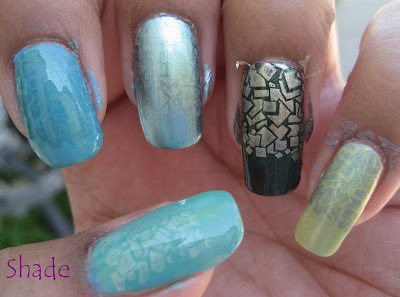 New NOTD & TOTD this weekend. 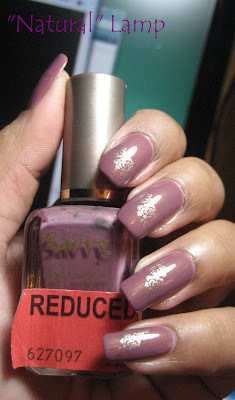 I really like this mauve but I've got a couple chips already. I don't know if I was a particular klutz or what I did, but it's bugging me. And I'm sick of my toes being so freaking bright; I think I'm going to paint them dark again. Well what a perfect day you had! It's nice to have those every now and again :) That little flat iron look so cute! 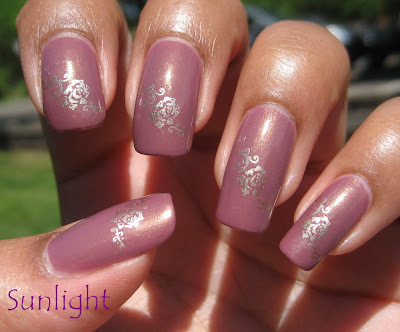 Love your nails, that mauve shade is very pretty. 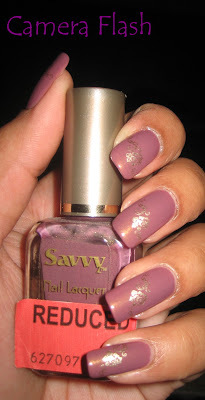 ♥ - I am soooo jealous of all these awesome polish hauls Americans get from Big Lots and Dollar Tree...... Those Revlon Dark Pleasure are really beautiful, i have seen them on other blogs and each one is very pretty. 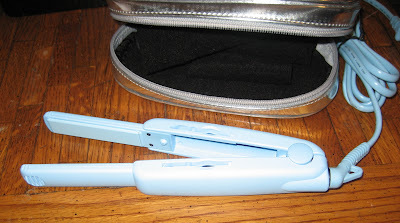 ♥ - its about time they start making compact hair straighteners, my goodness, this one -is- compact! SMART idea! Sounds like you had an awesome day! Don't fret about getting to your blogging posts, everything you add is 'for the ages', right? Wow! Great day! love the nails! I think I'm gonna got to my big lots today and get some polish now! I've never gotten any there, and those Revlon's are a amazing deal! Thanks for sharing! Awesome day you had! I'm sooo jealous of your Big Lots! Mine stinks! I haven't been able to find any of the dark pleasures. Except for "Talk Dirty". They seem to always have that one. And of course all the light colors. Sigh! 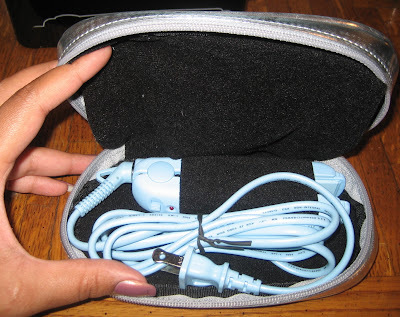 Anyway...Love that flat iron,and a case to boot! Pictures of polishes are gorgeous as usual. You always get the best stuff @ your Big Lots! These are indeed excellent things...great post! 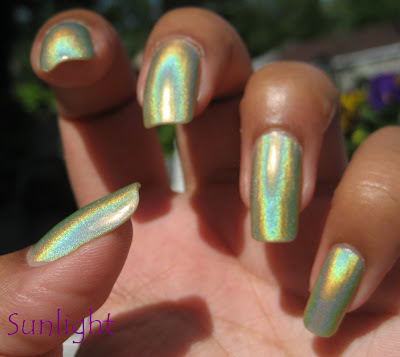 That holo in the sun is incredible! Thanks for the long post. I love it. I enjoy the writing with pictures. Not just pictures alone and a few words. 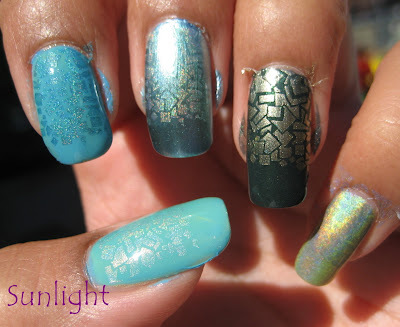 That holo is beautiful. Your latest manicure is lovely. Very romantic looking. I love the gold shimmer in the polish. I always click on your photos to make them bigger. I also like the Konad with the little squares. Really cute. MARY - A perfect day is a rare thing but I think I shared a lot of my joy that day, a lot of people at work kept asking me why I was so happy. VELVET - I had the same problem with this particular collection - they only had 1 of the light colors - but then all of a sudden these showed up - although in most cases only 1 of each. THE PBG - I never used to go to Big Lots until I read on some other blogs what good luck other bloggers had =) I still get dud trips sometimes but the hauls make up for it.